He wants to sell, he knows I ( and my wife ) want to buy. Golden opportunity. 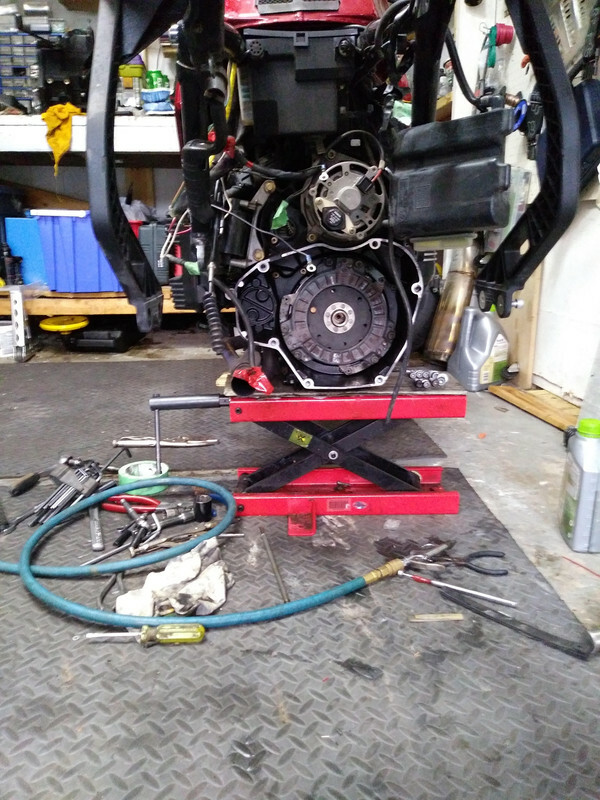 While he has the final drive off, have him take clear pictures of the condition if the splines, both on the FD as well as the drive shaft. 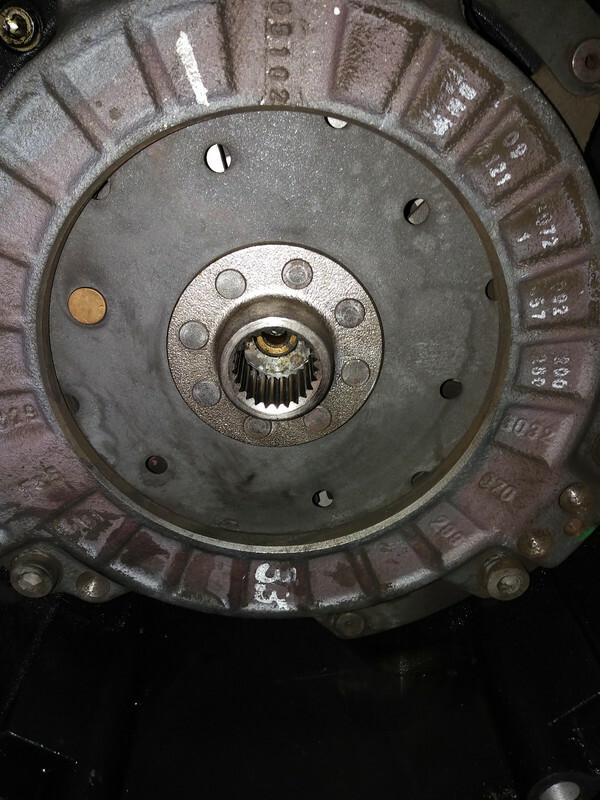 These will be important ti understand if you have to potentially replace the drive shaft. It will affect the sale price. This is what he will do. 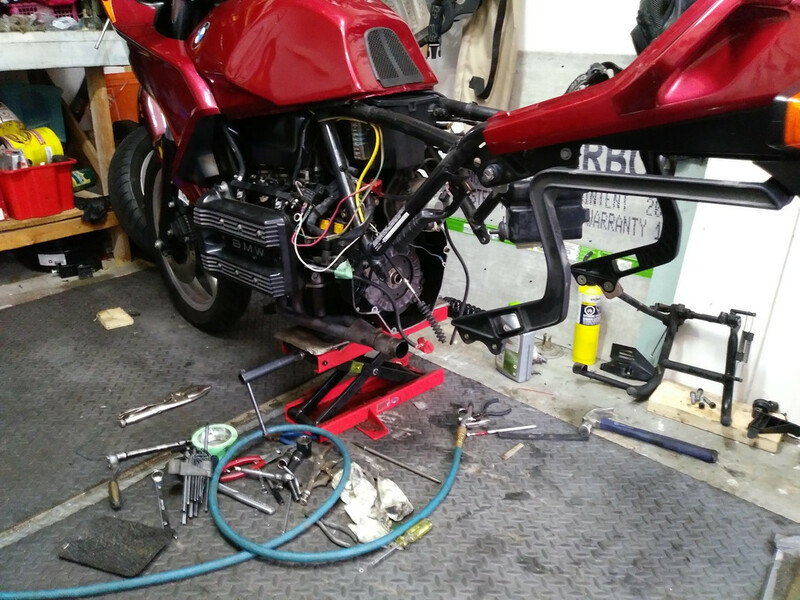 Today he took off a final drive and shaft, tomorrow a gearbox and clutch. These are the pictures I got from him. 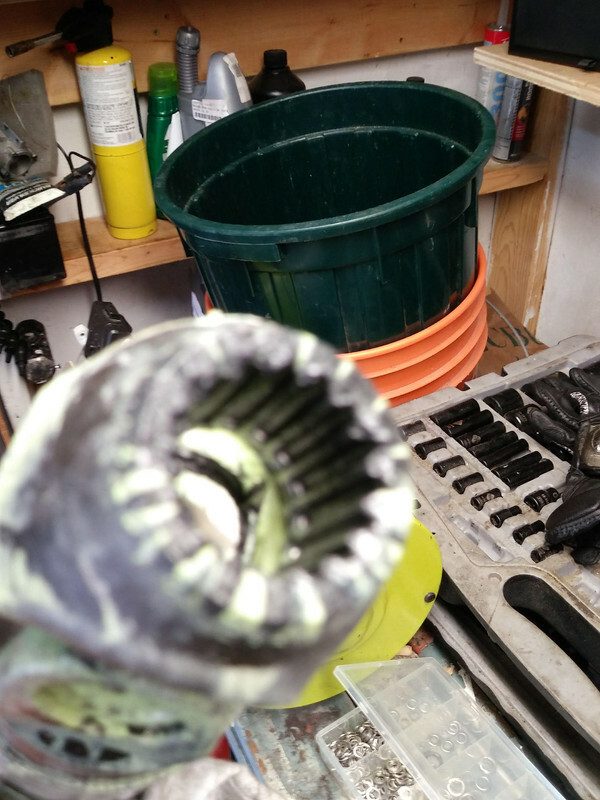 Nice picture of the guy's bucket and toolset; not so good one of the splines. They look kind of worn peering through the misty blur that is that picture. It's hard to tell from all the grease covering the FD splines whether they are good or bad. Maybe others have sharper eyes than I. Personally, I think the pictures leave a lot to be desired. I can't make any determination of the condition of the splines. At least they look like they were very well lubed. If it was me, I'd make a special trip to see them in person. Good splines have nice wide flat spots at the top. As they wear that flat area gets narrower until it's almost a knife edge, and then they strip out. Ask him to get down on the level of that spline shaft of the final drive and take a couple of photos of it straight on with good lighting. To me FD splines look much better than shaft splines. What is the cost of a good shaft ? And yes, I will ask him to clean the grease and make better pictures. To go and see - I already made 2 x 140 km round trips, perhaps during the weekend. motobins can supply a spline replacement for the rear of your driveshaft for 66 UK pounds plus freight,so long as your final drive splines are still in good nick. I am certain there are posts on here that you can do some research. i bought this spline replacement and managed to source a second hand final drive unit from the USA that was still in tip top condition. 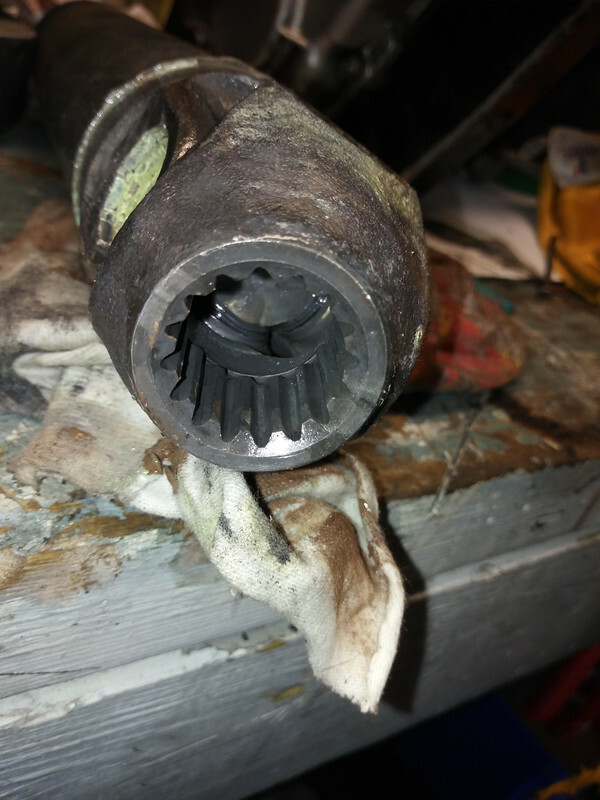 new driveshaft splines attached to worn final drive will chew out your new splines, so best to try and get good teeth on both mating surfaces. both parts are presently shelved in my garage, ready for when I decide to have a local engineering outfit weld the new splines on. having the replacements on my shelf gives me a sense of smug self satisfaction. 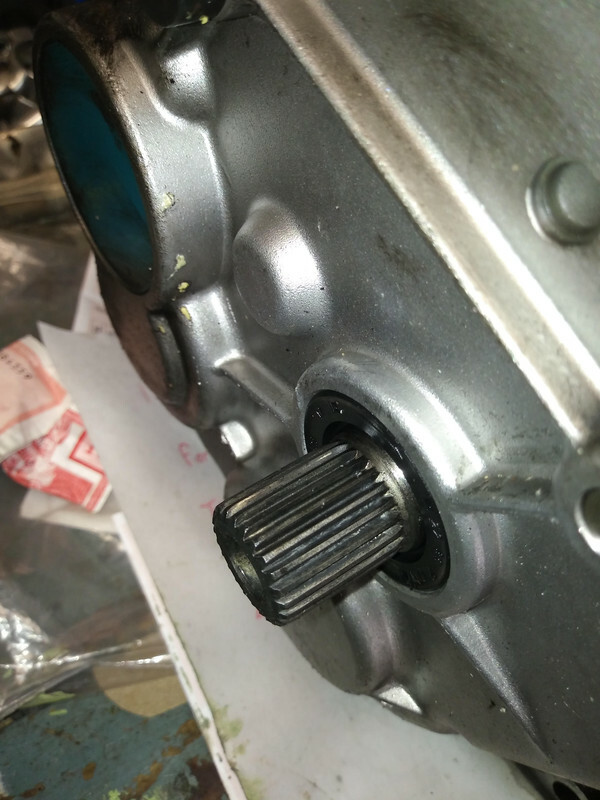 The clutch splines, transmission input splines and drive shaft input splines look in good order. They are dry and need lubrication badly. Hopefully the owner does that while he's so far into the teardown. 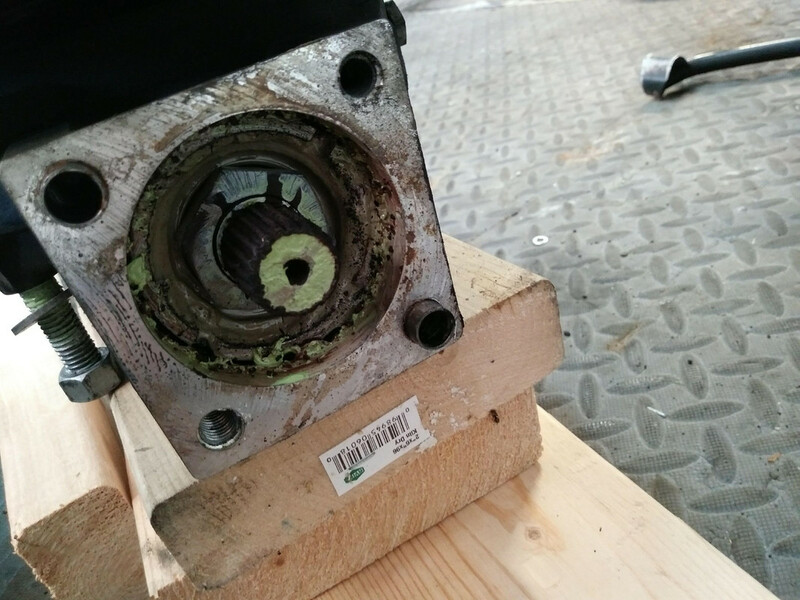 You still don't know the true condition of the drive shaft output splines and final drive input splines. They are dry and need lubrication badly. Prior photos had them covered in grease. These would be "cleaned for inspection photos". Everything will be greased, I sent another request concerning 2 first pictures with clean splines for FD and corresponding end of the shaft, however in the daylight this end of the shaft looks good to me. The most suspect for me are FD splines. +1 Cleaning them showed how good the splines are. Waiting for final drive and driveshaft output spline photos. IMO those are the important ones. Judging from the photos posted, they should look pretty good. 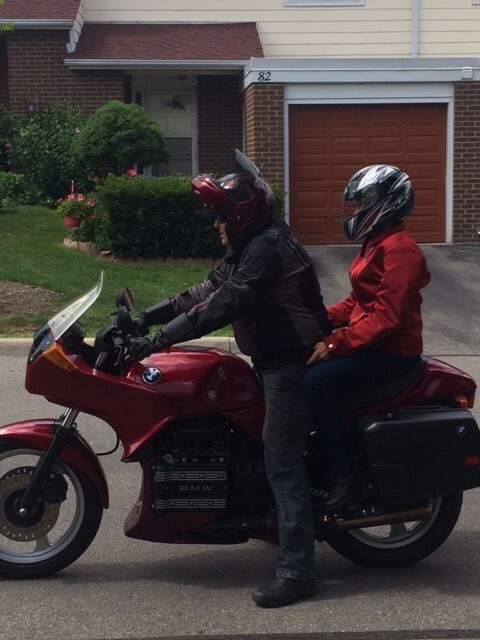 We picked up a bike from the seller this morning and made 70 km on rural and less rural roads, crossing Toronto in dense traffic around noon, me on the bike and my wife in our car. Bake behaves exceptionally well, is very comfortable ( other than too sporty riding position for me, but it's not as bad as I expected ), brakes are powerful an well modulated, feels very solid in turns and slow speed maneuvers, gears and clutch work quietly and smoothly. After some time spend at home we decided to try it two up in afternoon city traffic and however I got sweaty ( it's hot day anyway ) it was done with ease. 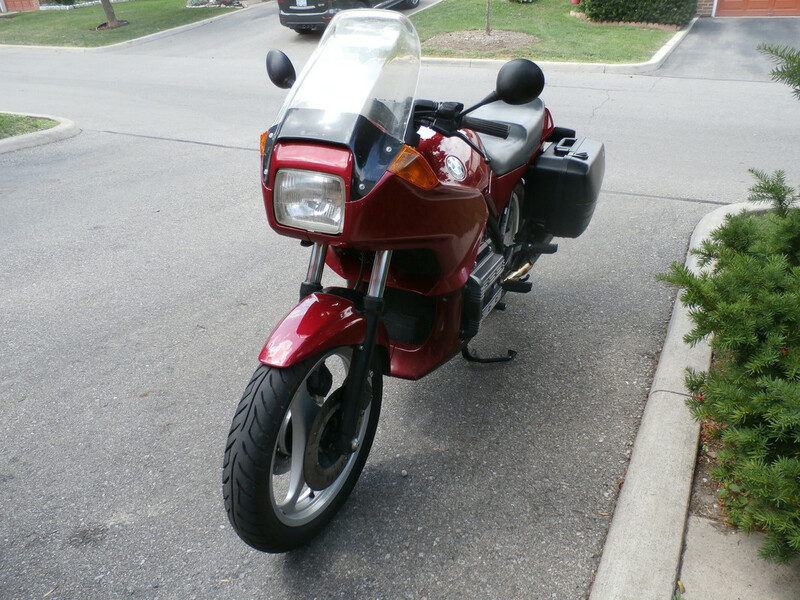 We are very happy to have this bike in our possession and looking forward to have lots of fun on it. Congrats on getting the K re-commissioned and back on the road. 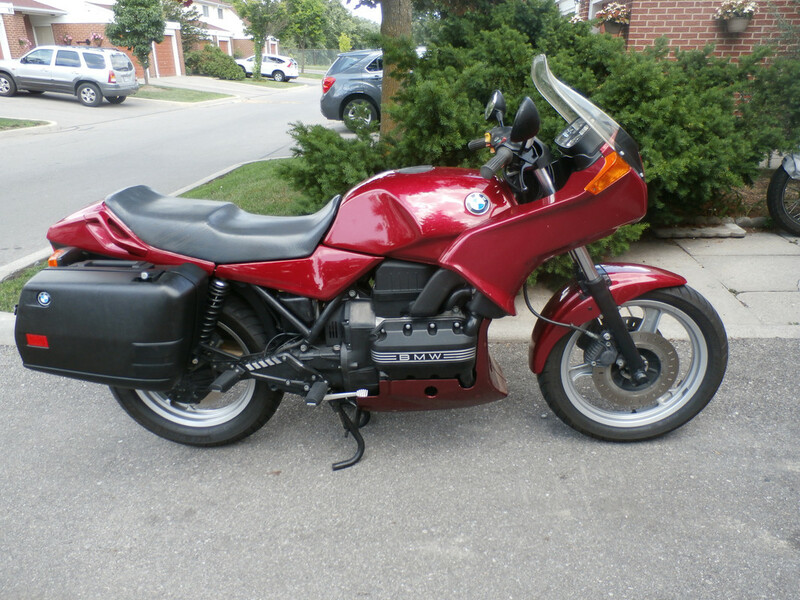 Likewise, I've had many MC's, but the K75S just has something that makes it enjoyable to ride.